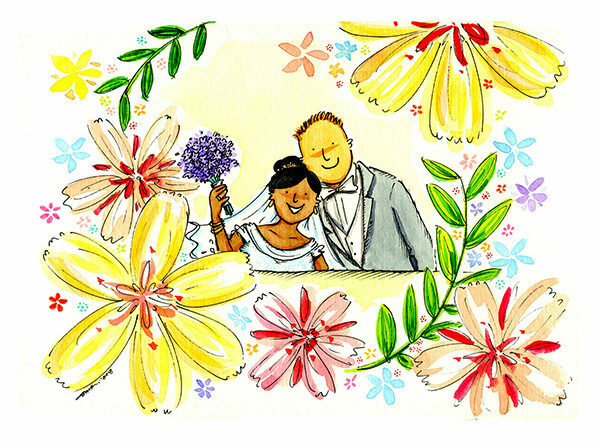 This is a tailor-made, hand-drawn wedding gift, for a lovely couple in the UK. I'm an professional and experienced illustrator working with international publishers on various kinds of projects. I take great pride of my artwork and I'm proud to be always punc… Show more. Send a message directly to Shirley Chiang. I'm an professional and experienced illustrator working with international publishers on various kinds of projects. I take great pride of my artwork and I'm proud to be always punctual in work delivery and able to accommodate fast turnrounds. I specialise in hand-rendered vibrant line work and bright watercolour washes with a joyous dose of fun and humour.